Have you guys started Fitness Magazine’s Bikini Body Bootcamp yet? Let me be your trainer for the next 4 weeks and help you get into bikini body shape! I’m doing weekly video tips (see below for week 1) to help you guys stay on track. You can view the videos each week here or on Fitness Magazine’s Facebook page. Also, I have a special announcement! I’m going to be giving out a new Spring Oakley outfit (top, bra, bottom) as a prize to whoever sticks with this plan and gets the best results! This doesn’t necessarily mean who has lost the most weight – but also who gets stronger, faster and more confident! Take a “before” photo this week! 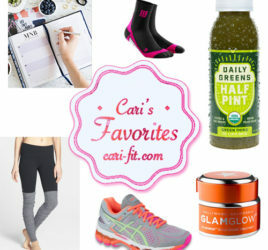 Wait and send it at the end of the contest along with your after pic and a few sentences about what you accomplished (got stronger, could run farther, lost weight, etc). Optional: you can also take your measurements. Follow the Bikini Body Bootcamp Plan (May issue is on sale now or view the plan here) for approximately 4 weeks (there are 5 weeks in May). Send your before/after pic and results info the week of Monday 5/27/13 and I will announce the winner on my blog and Facebook on Friday 5/31/13. Please share this contest with your friends!! 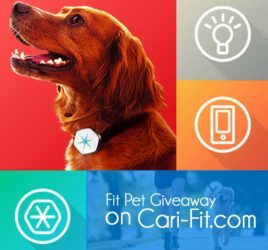 Blog Contest - Win a Fit Pet Package Valued at $100!